Do you already have a few favorite essentials that you know you are going to be using a ton of everyday? Our bulk cases of spa and salon basics ensure that you never run out of the must have items you need to run your business! Our ProMaster Disposable Mini Nail Buffers come in a case of 1,500. They provide fast service and beautifully smooth nails. Dispose when done to keep your salon clean & sanitary.At an amazing value, stock up & save on this salon essential. These Pedicure Toe Seperators in Lime Green are available in a case of 360 and are a tremendous value for an item that no nail salon can do without! The soft material keeps client's toes comfy during services, and being easily disposable helps maintain a healthy environment in your salon. This unique design stays snug on toes for the most flawless pedicure. 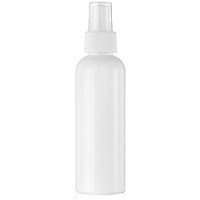 Fine Mist Sprayer Bottle - White with Clear Overcap - 5 fl oz. - 150 mL. / Case of 90 Individually Wrapped. 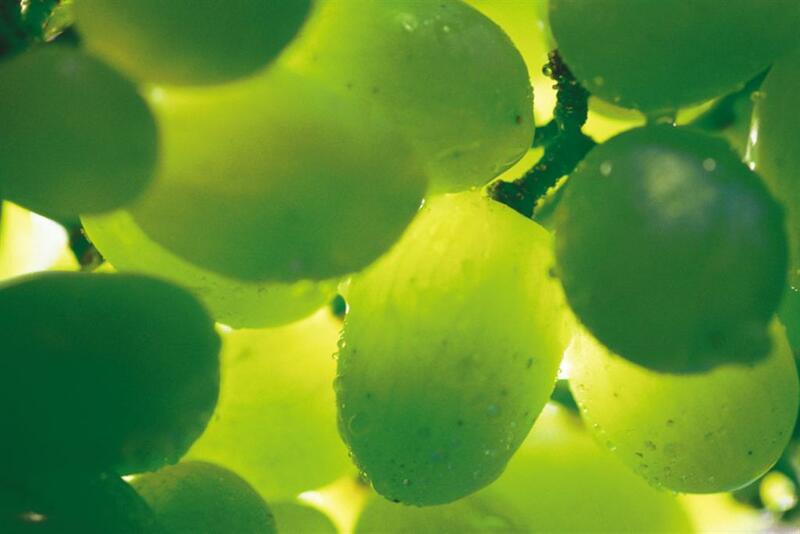 Deliver a fine mist of liquid formulas with these 5 fl oz. (150 ml) assembled bottles with sprayer and overcap. These and more can all be seen on PureSpaDirect! Poorly Fading Tans? Keep Sunless Tans Looking Great, All Year Long! 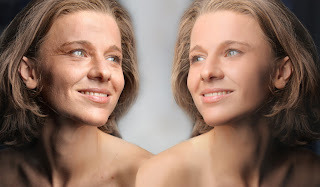 Even if you are spray tanning clients with the best airbrush tanning mist in the world... splotchy fading can occur. There are a myriad of reasons why, but the thing I want to discuss is HOW to prevent it. Just like with other professional salon services, some maintenance is required to experience exceptional, long lasting results. I want to address some of the most common airbrush tanning complaints and inquiries, and how to avoid them. Help clients maintain their tan. Offer a great Retail Line! Problem: "A Spray Tan turns my facial pores black!" The dark color guide in most spray tan and lotion tan formulas loves to linger inside pores. I have especially noticed it is very pronounced on my chin and nose... YUCKY! Not pretty when your boyfriend and you are close-up... who wants to stare at blackheads? Solution:: Use Extended Vacation's Shimmering Sands Facial Tanner. It is golden, and does not contain any dyes or tints that stain pores. It tans beautifully after one application, but if your are a tanorexic like me, you can apply 2 coats, 2 days in a row for a toffee toasted glow. Problem: My tan is fading all splotchy, it looks sloppy. Solution: Exfoliate before your appointment and after. That's right. As your tan begins to fade, using Desert Mineral Detox Body Scrub 1-3 times a week will help brighten and even out dull, sunless color. This is extremely helpful for clients with light skin, and clients that come in frequently (every 7+ days or so). Tanning over a old spray tan is like applying a coat of nail polish over old, chipped nail polish... it's never going to be even and smooth unless you remove the old layers! No more splotchy tans. Problem: My spray tan clients don't want their tan to fade at all! Refreshment by Extended Vacation. One application of this lotion will darken skin one entire shade. Great for active clients and vacationing ones that are exercise (sweat), enjoy pools, hot tubs and swimming in the ocean. Also great to apply after exfoliating with Desert Mineral Detox Body Scrub. Problem: My clients' skin is dry. They said they are applying their own lotion and it's not helping. Solution: The vast majority of drugstore lotions are loaded with mineral oil - which has been know to remove spray tans (google it). Just like I can't use drugstore shampoo on my expensive head of hi-lights, (they strip away my hair color), using lotions or creams loaded with mineral oil can erode a spray tan. 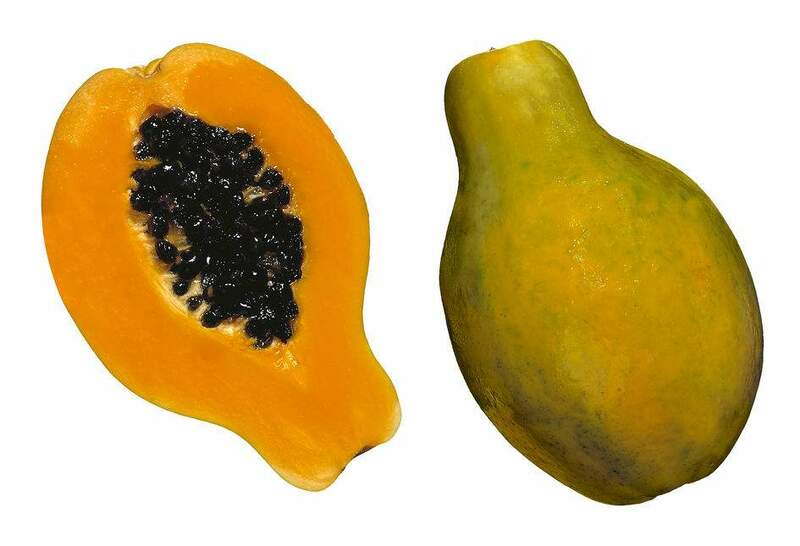 This is why we love Caribbean Smoothie Body Cream. It prolongs spray tans and sunless tans with it's special formulation of cream of the crop ingredients! It is formulated like an exquisite anti-aging facial cream... one you might find in a department store! Problem: My clients' arrive to their appointments unprepared. Solution: SluffWIPES can save your spray tanning day! The double sided wipes prep skin with a soft layer and an exfoliating layer. They are also great for removing mist from client's feet, nails, Achilles tendon, wrists, etc. before they walk out the door. The entire Extended Vacation line was created for Sunless Tanning PERFECTION, and it is available at wholesale prices (to licensed beauty professionals) so you can retail it to your clients! Be sure to check out the Perfect Sunless Tanning Brochures that help explain these products and their benefits to your clients! If having a cold is not miserable enough, we have to contend with our skin getting sick too. It never fails to happen to me! My skin goes haywire, and I can usually tell when I am starting to get sick by how my skin is behaving. - Zits gone wild. New shapes, sizes and colors cropping up all the face. - Puffy and droopy eyes and cheeks that make me look like a morphed former version of myself. - Watery, runny eyes that burn with every blink. And these symptoms can stick around for about a week or so AFTER the cold has passed. It can be kind of depressing to feel better and look in the mirror and see your skin didn't get the memo! So I wanted to share some products that you can use in your professional Facial Treatments on your clients this cold season (once they are well of course). Cucumber Gel Mask by Amber: Has the ability to enhance water retention in tissue allowing the epidermis to achieve greater suppleness. With the combination of cucumber extract, allantoin and aloe vera this product is effective in soothing irritated skin. Elasto-Gel Sinus Mask: I'm obsessed with this mask! It can be used hot or cold (I like it warm - a few seconds in the microwave) and is perfect for relief of pain and swelling of superficial soft tissue in the eye, nose and sinus area. Wrap with a thin layer facial diaper or disposable soft towel. Cover is removable for washing too. - Nerves, blood and lymph vessels: relieves blockage and removes waste and toxins via blood and lymph drainage. - Connective tissue: balances the flow and activates the metabolism at the cellular level. - Epidermis: increases absorption of active substances. Let's face it - waxing is no fun. The pain or discomfort does not even bother me, it is getting undressed from the bottom down every 6-8 weeks and having someone face first in my "biscuit" (thank you Honey Boo Boo)! Being fully exposed is more painful than the waxing itself. If there was a way to slow down the frequency of my humiliation I would be thrilled! Actively slow down hair regrowth and nourish skin. No Tip-Toeing around this Pedicure Season with Encore Foam Toe Separators! Be colorful this Pedicure season with the Encore Foam Toe Separators / Mixed Colors / 720 Pair Mega Case. Clients like to feel appreciated, especially when their salon goes the extra mile to make them feel comfortable. Adding toe separators to your pedicure service is an easy and affordable way to step up your pedicure service. 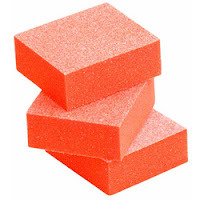 These comfortable foam spacers can be used to separate toes during pedicures to keep polish from smearing. They are sanitary and easy-to-use, making flawless pedicures a breeze! 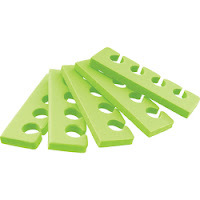 The high quality, Encore Foam Toe Separators, are made from high density foam for a soft, comfortable, and easy fit. 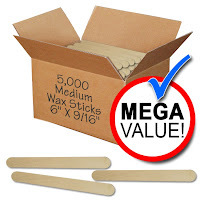 They come in a mega case of 720 pairs, and each pair conveniently comes individually wrapped! The assorted pack is mixed with 6 bold, bright, and fun colors including green, yellow, orange, pink, rose, and blue. At the end of the spa pedicure, they can be given to the customer for at-home treatments. For the first time ever, Pure Spa Direct has the Encore Foam Toe Separators / Mixed Colors / 720 Pair Mega Case on special for the entire month of May. Purchase the entire case for only $51.96, making them only $0.07 a pair! Here at Pure Spa Direct, we recognize that when it comes down to it, our clients are looking for the best deal possible. During these hard economic times, everyone is cutting back and trying to get the biggest bang for every buck we spend. With this in mind, Pure Spa Direct is now offering many supplies that spas and salons use on a daily basis in MEGA packs for BIG value. Products you use every day are available in MEGA packs - including pedicure slippers, wax sticks, and buffing blocks. Other essentials like cotton pads, esthetic wipes, paraffin liners, and pellon rolls and strips are also available. 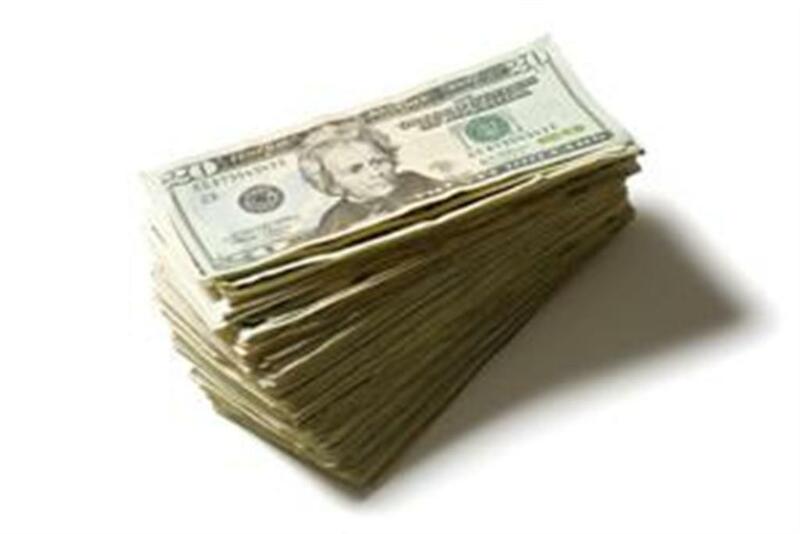 By buying in bulk, you can easily rack up savings on items you use on a daily basis - without compromising on quality!